New cryptocurrency ETFs (Exchange Traded Funds) would be big positive news for small investors—New cryptocurrency Index Funds are even BIGGER news, but typically Index Funds are for Big Banks and Accredited Investors that just want to buy and hold for the longer term. Kind of a coincidence that right after Wells Fargo and many other US banks make it more difficult for individuals and business bank customers to purchase crypto (no credit card usage allowed) only debit cards, that Coinbase then makes it super convenient for banks and Accredited Investors (those able to invest a minimum of 250,000 USD) to purchase cryptocurrency. 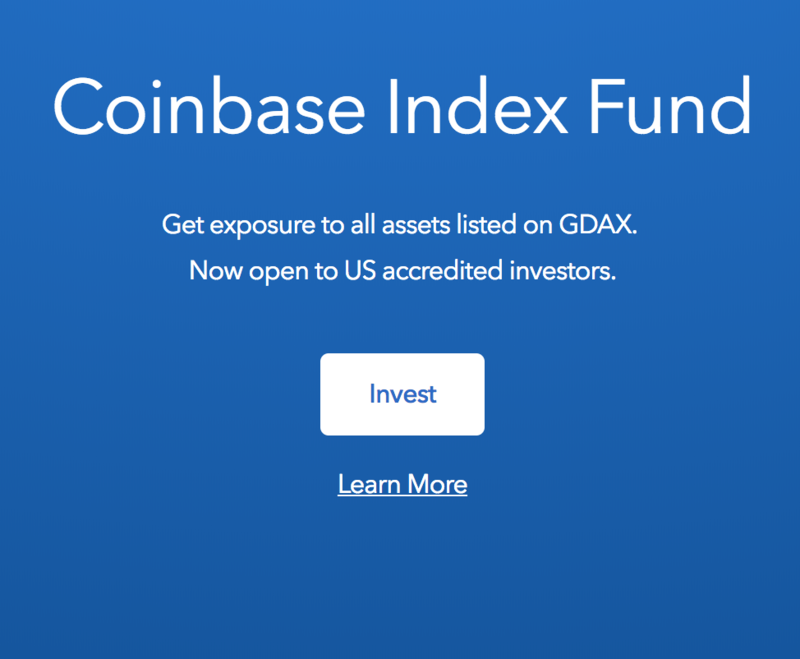 Coinbase gets to collect a 2% annual management fee and makes their Cryptocurrency Index Fund only available to US-residents, and accredited investors. The reason/excuse that the USA banks are using is that cryptocurrency could be a risky investment— however, they still do not restrict their customers from using their credit cards at casinos! 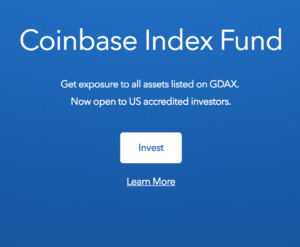 The specific coins held the Coinbase Cryptocurrency Index Fund and ETFs from Huobi and OKEx are the ones to be watching. Huobi 10 ETF Composition: As of the 28th of May 2018, the index includes BTC (26%), HT (25.6%), EOS (17%), ETH (11.3%), BCH (5.1%), XRP (4.2%), LTC (3.2%), IOST (3%), ETC (2.5%), and DASH (1.7%). The index will be rebalanced every quarter. OKEx: the crypto-to-crypto trading platform by OKCoin launched OK06 Exchange-Traded Tracker (OK06ETT). ETT will start off listing six cryptocurrencies that are traded on their platform: bitcoin, ethereum, litecoin, bitcoin cash, EOS and “OKB”, which is their own utility token. Binance will soon be launching an ETF as well. Fidelity (in the USA): Has also announced building a digital asset exchange and an ETF. The general takeaway for these new cryptocurrency developments is very bullish news for the longterm price of cryptocurrency in general and specifically for those coins held by the individual Cryptocurrency Index Funds and ETFs.